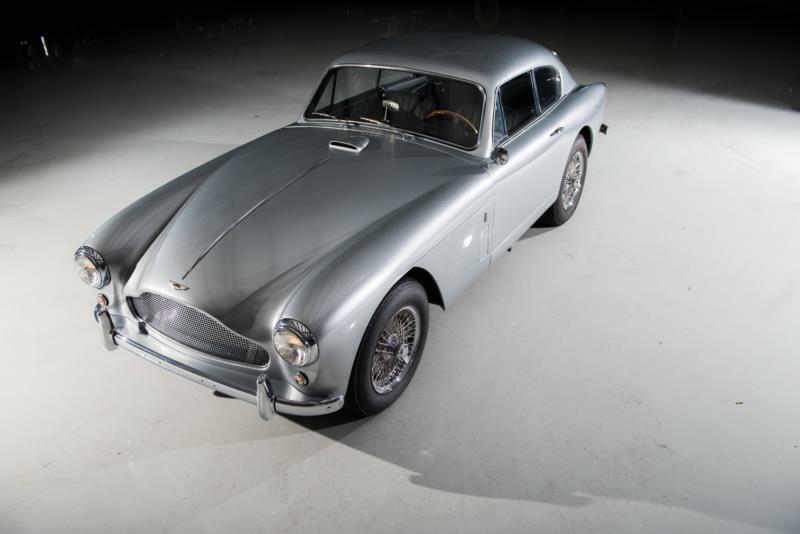 In 1957, Aston Martin replaced the aging DB2/4 with a new model dubbed the DB Mark III. While it was a new car, the Mark III was an evolutionary rather than revolutionary update, with incremental changes to the bodywork and grille and to the engine and driveline. The DB Mark III is the Aston Martin in which Ian Fleming placed James Bond in the original Goldfinger novel, though the car was changed to a DB5 in the movie. Sometimes called the DB 2/4 Mark III, this car was available as a fastback coupe, a 2+2 hatchback coupe, and as a convertible (also known as a drop head coupe). With the exception of the hatchback, which came with a vestigial back seat, all cars were two-seaters. Of the 551 Mark III cars produced, 462 were 2+2 hatchbacks, 84 convertibles, and just five of the fastback coupes. Additionally, 14 further chassis were produced and designated as DBR for racing use. Power came courtesy of the 2.9-liter version of the venerable Lagonda double overhead cam straight-six, available in DBA, DBB or DBD configurations. The base DBA model came with twin SU carburetors and was good for 162 hp, or 178 hp with the optional dual exhaust. The DBB offered triple-Weber 35 DCO3 sidedraft carbs, uprated cams and pistons and the optional dual exhaust for a total output of 195 hp. The DBD engine offered three SU carbs and the dual exhaust for 180 hp. Of the 551 Mark III cars produced, just 10 received the hot DBB engine and 47 received the DBD engine. The remainder were DBA-equipped, except for one competition model that received a special 214 hp racing engine. Several transmission options were available, including a Borg-Warner automatic, and an external overdrive unit that was installed along with the stock four-speed manual gearbox. A close ratio four-speed was also available, along with an engine oil cooler, competition clutch, competition suspension, and an oversize 33.6-gallon fuel tank for endurance races and rallies. Performance was quite good for the era, though not greatly improved over the old DB2, at least in a straight line. The most popular DBA configuration yielded a 0-60 time of about nine seconds, and a quarter-mile time of about 17 seconds. Top speed was a respectable 120 mph. The brakes on the Mark III began as four-wheel drums, but very early in production Girling front disc brakes were added as an option. Once these became available, they were a very popular feature. The Aston Martin DB Mark III was the car that made Aston’s reputation. James Bond certainly helped, but there was a good reason Fleming chose this car for his sophisticated spy to drive. The DB Mark III was a gentleman’s sports car that offered performance, exclusivity and style. As a result, collectors prize these cars and because there are so few to go around, values have long remained high. 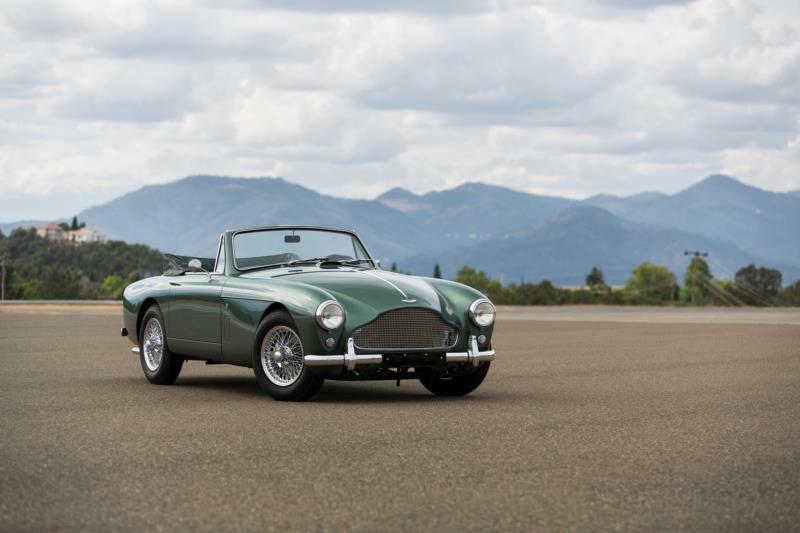 Collectors seeking any vintage Aston-Martin will be looking at the higher-end auctions, or through brokers specializing in high-value sports cars.